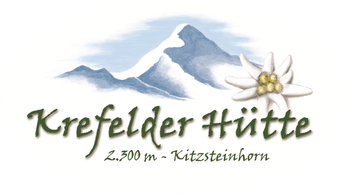 Take the cable car to Alpincenter (2nd station, 2,445 m) and then descend on the trail to Krefelder Hütte. Walking time: approx. 20 minutes. From Maiskogel (1.670 m): From the mountain station on the scenic Alexander-Enzinger-Weg along to Krefelder Hütte. Walking time: approx. 3½ hours (approx. 6.5 hours directly from Kaprun/valley station). From Niedernsill (770 m): Through the Mühlbachtal high above the Lakrascharte (2,488 m), then descend to Krefelder Hütte. Walking time: approx. 5 hours. Hourly hiking taxis up to Maiskogel from Kaprun!